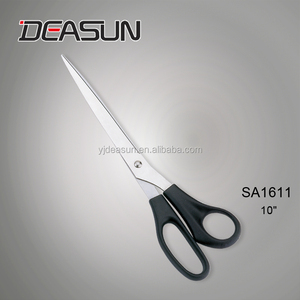 SA1611 Long blade office scissors 1) overall: 10" Office/Home Scissors. 2) Blade:2Cr13 stainless steel, blade tip: sharp/sharp tip. 3) Handle: Plastic material, any pantone colors per client. 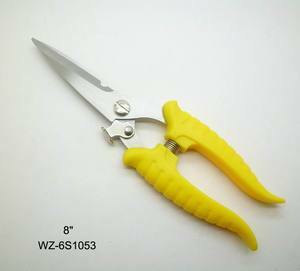 Detailed Images Kitchen Scissors 1&#12289; Using good quality stainless steel material, Sharp edge, quick shear. 3&#12289; Can be used for clipping Walnut, Crab shell food and opening bottle cap. 5&#12289; Good quality handle material, comfortable handling and save energy. 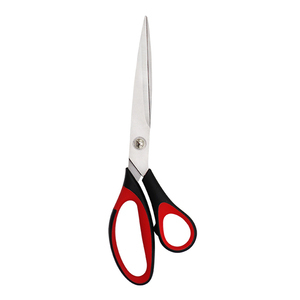 Description -This versatile pair of commercial quality shears is an everyday kitchen essential and it also can work at office. 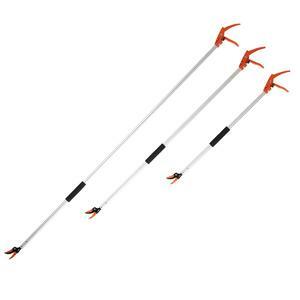 4.This kind of office long scissors has very long and sharp blade,suitable handle,is great for office use and household. -Sharpen at home using a sharpener designed for scissors, or have the shears sharpened by a professional. 5.Good choice for gifts and promotion items Notice: 1.Keep the scissors away from children 2.After using scissors,wash and dry it immediately with a dry cloth. Advantage : 1.Factory direct price 2.Punctual delivery 3.Sincere service 4. Customer Design and OEM are welcomed Company Profile: Yangjiang Huahong Knife & Scissor Co.,Ltd. is a professional manufacturer specializing in supplying stainless steel knives and scissors,various kitchenware,houseware,etc. 1 YRS Weifang Huada Import And Export Co., Ltd.
1.Material: 2Cr13 stainless steel, thickness: 2.5mm. ABS handle or according to customers' requirements. 5.It is our longest scissors. Q: Can you do OEM9 A: We accept all OEM orders, just give us your design . Just tell me your ideas, and let me do it for you. Q: Can you supply me samples9 A: Yes, we can, but you should pay for the freight cost and sample fee. 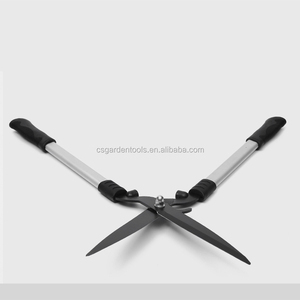 Alibaba.com offers 4,144 long scissors products. About 11% of these are scissors, 1% are kitchen scissor, and 1% are fruit & vegetable tools. 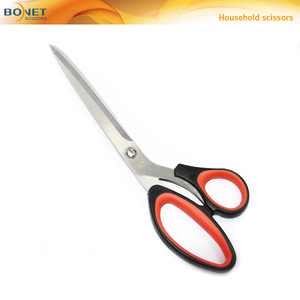 A wide variety of long scissors options are available to you, such as household scissors, beauty scissors, and multi-purpose scissors. You can also choose from stainless steel, aluminium alloy, and carbon steel. As well as from shearing, snipping, and pruning. And whether long scissors is no, or yes. 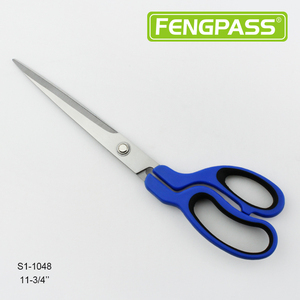 There are 4,144 long scissors suppliers, mainly located in Asia. 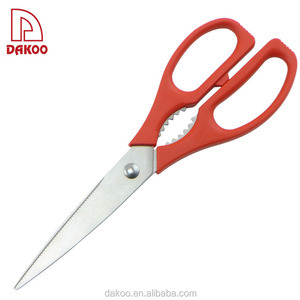 The top supplying country is China (Mainland), which supply 100% of long scissors respectively. 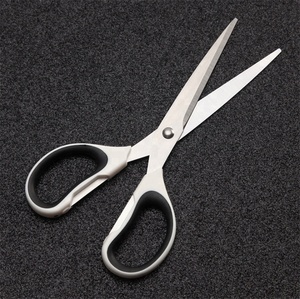 Long scissors products are most popular in North America, Western Europe, and South America. You can ensure product safety by selecting from certified suppliers, including 503 with ISO9001, 180 with Other, and 153 with BSCI certification.